A noise barrier (also called a soundwall, noise wall, sound berm, sound barrier, or acoustical barrier) is an exterior structure designed to protect sensitive land uses from noise pollution. Noise barriers are the most effective method of mitigating roadway, railway, and industrial noise sources – other than cessation of the source activity or use of source controls. 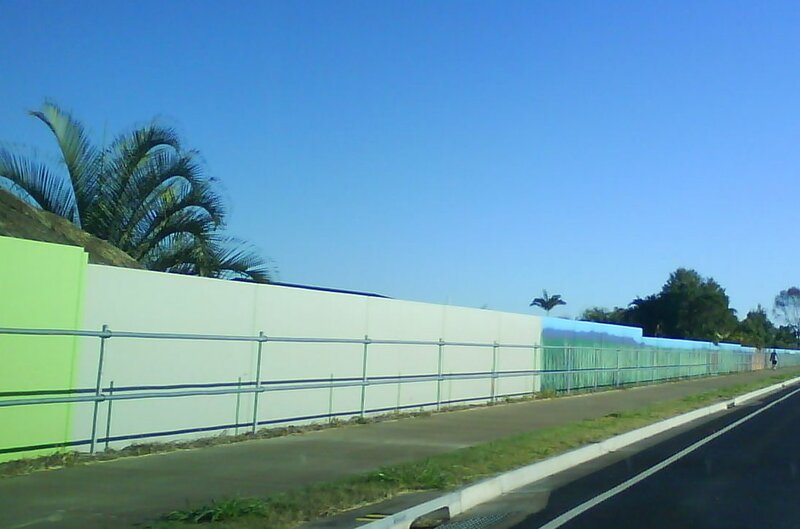 The Queensland Roads Alliance Desirable Data Set contains two fields relating to noise barriers. The VicRoads Road Structures Inspection Manual suggests that noise walls should be the subject of a routine maintenance inspection at least twice a year.